The Enterprise Program will be hosting Altair's Training and EDU Technical Relations Manager, Erik Larson, November 14 and 15 for a two part industry speaker series event. 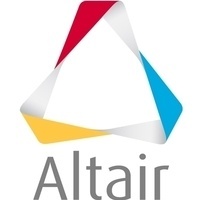 In this first part, Erik Larson will provide an overview of Altair’s revolutionary, easy to use, structural optimization and motion analysis tool, Inspire. Attend this seminar and start creating intelligent designs for your senior design and enterprise projects. This session is open to all levels of students and no prior FEA experience is necessary. Instructions for downloading the FREE, fully functional student edition of Inspire will be provided at the seminar as well.